An export rebound continues to build steam at the Port of Oakland. The Port said on Friday (May 6) that containerized export volume increased 7 percent last month from a year ago. It was the fourth consecutive month of increases in Oakland. The Port said that 2016 export volume is up 16.3 percent through April. That’s welcome news following a 2015 decline that saw Oakland exports drop 11.5 percent. The Port attributed export gains to a weaker dollar that makes U.S. goods more affordable overseas. The Port said it has shipped the equivalent of 300,000 20-foot export containers so far this year. By comparison, it reported receiving the equivalent of 277,000 20-foot import boxes. 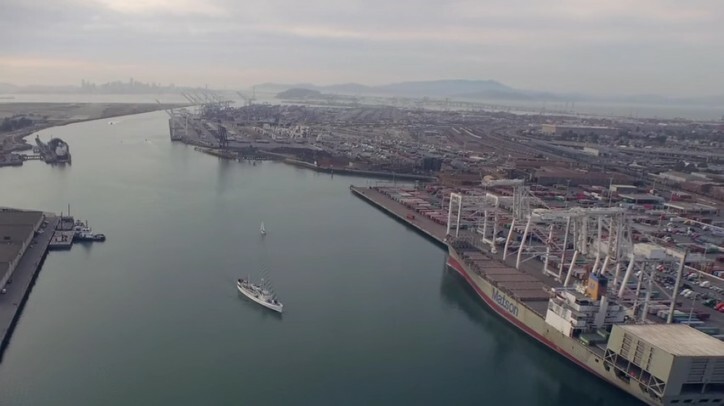 The contrast reflects Oakland’s status as a leading U.S. export gateway. Most American ports handle more imports than exports. Total cargo volume in Oakland – imports, exports and empty containers – declined 6.3 percent in April, the Port said. That was due primarily to a near 30 percent drop in empty container shipments. For the year, Oakland’s total cargo volume is up 11.3 percent. Click here to see Port of Oakland 2016 cargo volume statistics.